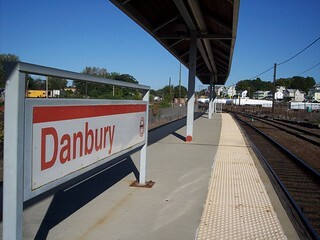 We began our trip on the Danbury Branch in Danbury. 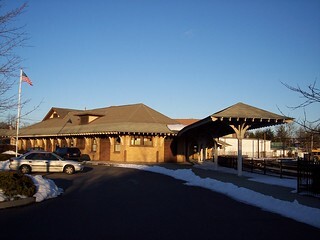 The station building above is the former Danbury station, now a railway museum. The current station is just around the bend from the old station. The current station has a reasonably new station building and a high level platform. At one time the line was electrified, and the old catenary support towers can still be seen along the tracks. 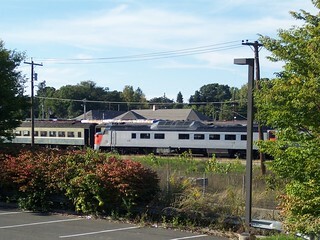 Looking from the current station, the trains in the foreground are part of the railway museum. 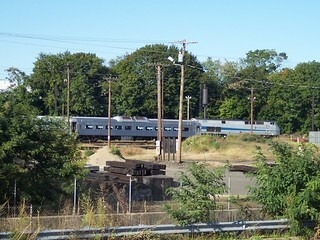 In the background a Metro-North train sits parked near the old station. 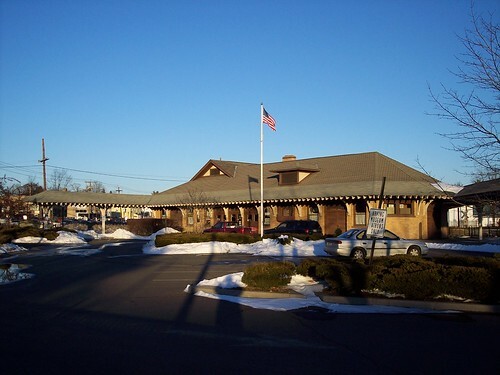 A closer view of the old station. 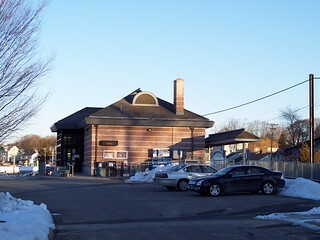 On the left is the platform that used to serve trains bound for Brewster. 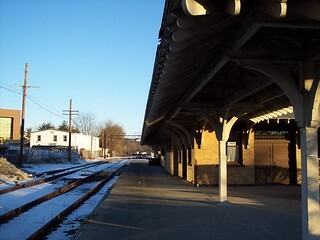 On the right, the curved canopy was for trains headed to Norwalk.